Trains are Better than Ties! THIS FATHER'S DAY, YOU CHOOSE! Trainz.com is helping you help those who love you make the right choices. Tell them what you want, and save them some cash too! Or just go with the status quo, we're sure they'll pick out a great tie this year. 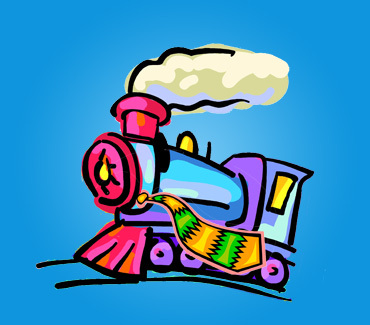 Read on for all the details of the Trainz.com "Trains are Better than Ties" Father's Day Event! Step 1: Visit Trainz.com and browse our inventory of over 27,000 new and collectibe items. When you find exactly what you want this year just click the "Share" button on the items detail page. We have all the popular places covered, shout it out via e-mail, share it on Facebook, Tweet about it on Twitter, do whatever you need to do to let them know you have enough Ties, #1 Dad Trophies, and Travel Mugs. Step 2: When they visit the page you share (and they will, who doesn't want to get Dad what he really wants? ), we'll tell them all about our Dad's Day deals! Save 5% on orders of $25 or more! Of course, you can use the coupon codes too... Dads deserve to treat themselves every now and then. Not really sure what you want this year? We've got that covered too... Just ask for a Trainz.com Gift Card. With the coupon codes above a $25 Trainz.com Gift Card is $23.75, $50 cards are $45, and $100 cards are only $90. Applies only to orders placed on www.trainz.com and by phone at 866.285.5840. Offer cannot be combined with any other offers or discount codes. Discount codes may not be comined. Offer does not apply to orders placed via eBay, Amazon, TrainzAuctions.com, or our pre-order website. Minimum item value requirements must be met (before tax and other fees) to qualify. Coupon code must be used at time of checkout to receive discount. Free Shipping valid only within the contiguous United States. Free Shipping valid only for "Trainz Standard" shipping. We will choose the actual carrier at time of shipment. Offer good now through June 17, 2012.